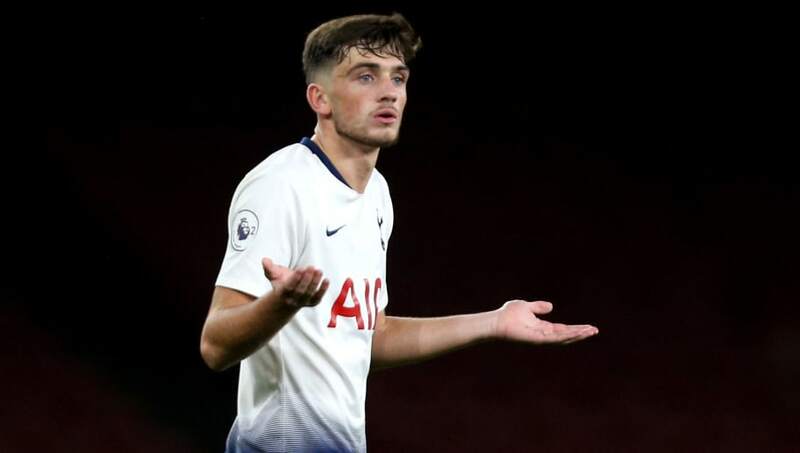 Tottenham will hold a 'top-level' meeting to discuss their options following the recent injury to Harry Kane, where they will consider giving academy striker Troy Parrott a run in the first team. Kane isn't expected to return until March after suffering ankle ligament damage against Manchester United last week, leaving Spurs without their main source of goals while Son Heung-min is also away with South Korea at the Asian Cup. As a result, Tottenham are planning to hold a meeting where they will discuss their options during the remainder of the January transfer window. "A top-level meeting is planned to look at all the options on the table - even possible loan signings," talkSPORT's Jim White revealed. "Even young academy prospects. "One name being considered even at that level - and this would be a meteoric step-up - is an academy star, young striker Troy Parrott." Parrott only moved to north London in 2017 where he joined from Irish minnows Belvedere FC, but the 16-year-old is already making a name for himself in Tottenham's academy. He's scored nine goals in six appearances with their Under-18 side this season, while he's also registered an assist in the Premier League 2 - an Under-21 competition - during Spurs' 1-1 draw with Liverpool earlier in the campaign. Mauricio Pochettino has already confirmed that he will not call on Vincent Janssen to step up into the first team as the Dutch striker, who outscored the likes of Arkadiusz Milik (Napoli) and Sébastien Haller (Eintracht Frankfurt) during his last season in Holland, isn't part of the club's long-term plans. It's expected that if Tottenham decide against making any signings this month that they will rotate Fernando Llorente and Lucas Moura at the spearhead of their attack.